Well, this couple took put an aviation geek spin on “walking down the aisle.” A couple decided to get married on a Southwest Airlines flight from Las Vegas to Baltimore this past Sunday night. I haven’t been able to find much regarding the backstory of why they decided to get married on a plane, but Yahoo reports that the couple got married about 45 minutes before the flight landed in Baltimore. The groom was wearing a tuxedo and the bride was wearing a white gown. The groom stood in the front of the plane, while the bride walked down the aisle from the back of the plane towards him, just as you’d find on the ground. One of the crewmembers officiated the wedding, and threw in quite a few jokes. 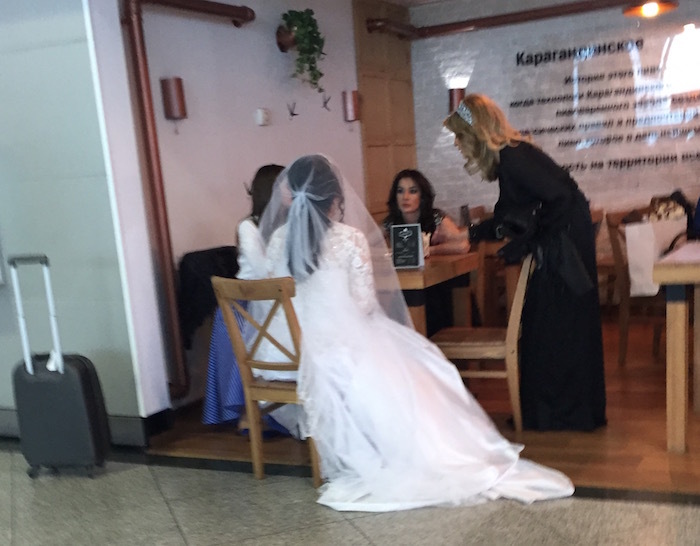 At first I thought to myself “didn’t anyone find it strange that they boarded in full wedding attire?” Then I remembered my Air Astana flight from Almaty to Astana in 2016, where I saw a woman board in a full wedding dress. Sadly she didn’t get married onboard, though. Southwest’s Hawaii “Sharks” — Healthy Competition Or Bad Sportsmanship? Ben and Ford should have their wedding on a plane or in a first class lounge. The AV geek inside of me thinks its great! The British part of me thinks “Hmm, typical Americans imposing their will upon others. Just because they want to do this, they think that everyone else wishes to be a part of this…basically will have little choice but to watch etc. Americans really cannot help themselves. After watching the videos. SMH! Anyway, good luck to them! I’d have to agree with the British side of you. There’s something about this that is just so cringe-inducing. I absolutely wish the couple well – as we should any couple embarking on such a journey – but anymore I can’t help but feel this is less about the couple and something special and unique to them, and more about the potential notoriety they’ll achieve on social media for such a stunt. I don’t know their full backstory, but from the few articles it doesn’t appear they have any special tie to Southwest, so to me this just seems like some sort of publicity stunt. I do appreciate that they waited until the end of the flight to have the ceremony, though. If I was on the flight, I’d probably feel a a fair amount of fremdscham for them. People force their intimate moments on others without permission but throw a tantrum when others share their intimate thoughts. I am talking about PC police shutting down conversations about gays, women, immigration, or many other things. I could honestly give a damn about this couple. Dislike. They shouldn’t bother a whole plane full of strangers with their crazy wedding idea. 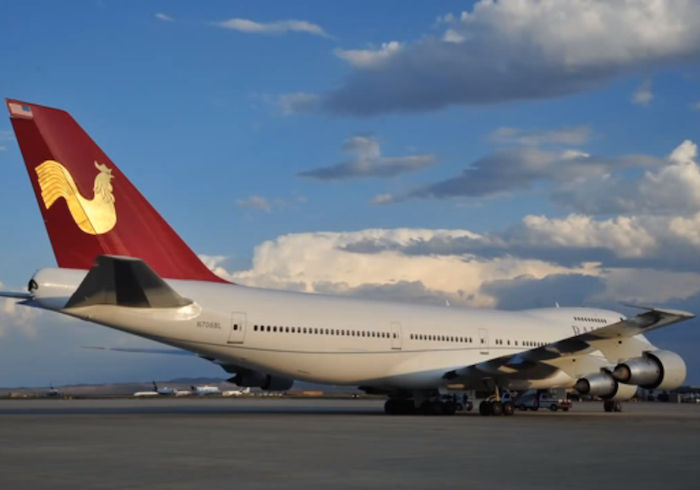 I’d rather boil my plums than get married on some filthy plane in front of a bunch of riffraff in Y. Yes, Ben and Ford should get married either in Lufthansa or Emirates First class! @Donna, why did you watch more than one video if you were so upset about the content? Sorry. I’m not excited. It seems like it’s all about them, of course. Hey, I completely understand the comments based on what was televised, and put online. I was the one getting “married” but there’s a whole other story to this… and yes, it’s different than the details that were construed by the media. I never believed in fake news until this. hahah. it’s ridiculous. I chose to respond to this, and not any other article because I’m an avid reader. and frequent flyer. If you say this is fake news, then tell us the real story. About an hour before we landed, a flight attendant came and tapped us on the shoulder and told us it was time and I quickly threw on my veil – which was already in tatters from having been stepped on many times by my dear husband. It was a flight attendant named Alex who officiated, but Michael does say that the captain was in on it. I can’t attest to this, because it was before I boarded. Douvana was the main flight attendant who orchestrated our in flight nuptials. Southwest is fantastic and this was really funny. They even had the other passengers write marriage advice which was incorporated into a “wedding cake” made from a roll of toilet paper and drink stirrers. How is the flight special for fellow passengers? Sounds like you had a nice time. I’m sorry it sounds like you will be critical no matter what I say. Most of the passengers thought it was pretty cool, including those that posted the videos and made this go viral. My husband and I were probably the last to know that we were on television. This is why they don’t have our full names. I do believe the SW crew was trying to do something special and I thank them for that. Thanks for your interest!